Lord Sastha is the son of Lord Siva and Lord Vishnu. Sastha, therefore, combines in himself the main aspects of Hindu culture, the saivite and vishnavite, and symbolises their inner unity as well as the inner unity of his parents. 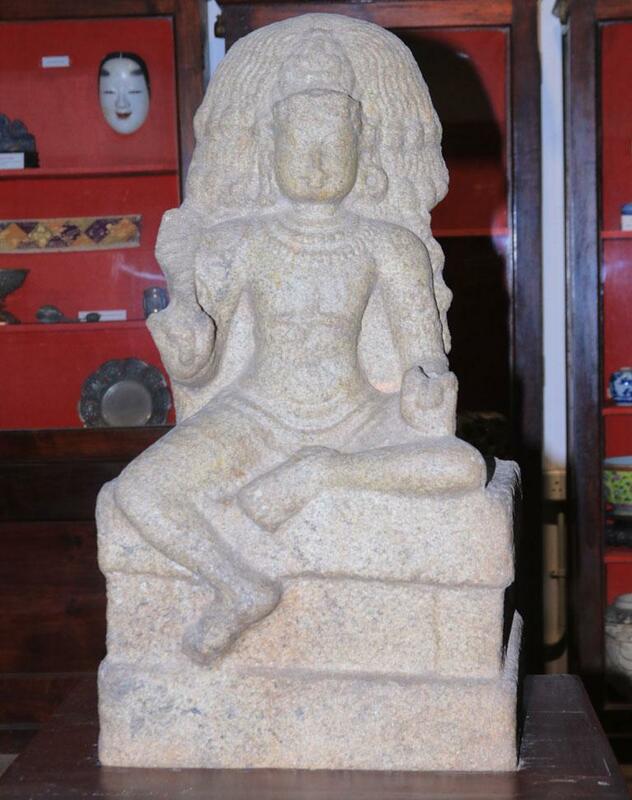 In this sculpture Lord Sastha is seated on a pita with right leg hanging down while the left one is folded and rests up on the seat.